Seven Day Tattoos are creators and designers of probably the most realistic temporary tattoos on the market today. Using a unique process we can create temporary tattoos that look like freshly tattooed designs on your skin that can last up to 'Ten' days, even longer. These highly realistic temporary tattoos are so realistic local theatres use them for their productions. So all the gain of the many beautiful tattoo designs available but without the pain of the dreaded tattoo needles. Seven Day Tattoos, are temporary tattoos hand made to order and are highly professional temporary tattoos. They are not cheap transfers or rub on tattoos found in children's luck bags. 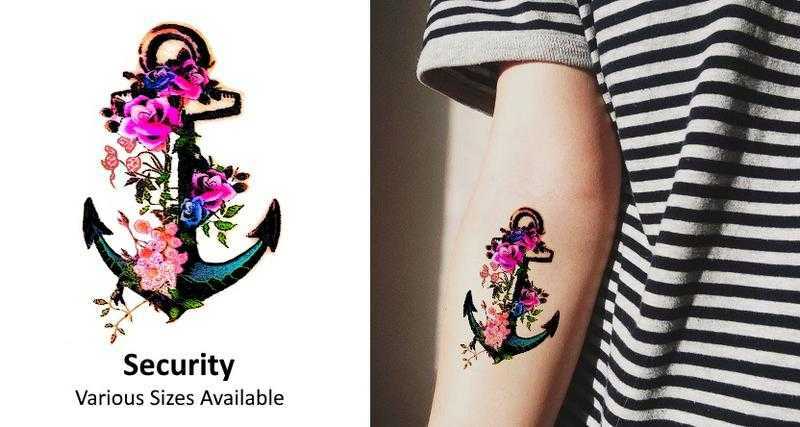 Give our temporary tattoos a try, you will be amazed. Find our shop on: Etsy , tell us you saw our advert here on Friday-Ad and get 10% off your.